Set DEAD CRANK SWITCH to OFF. Set Battery Disconnect switch to OFF. Open control panel access panel and turn three captive retainers (1) and lower EMCP front panel (2). Visually inspect wiring to body of GFCI (7). 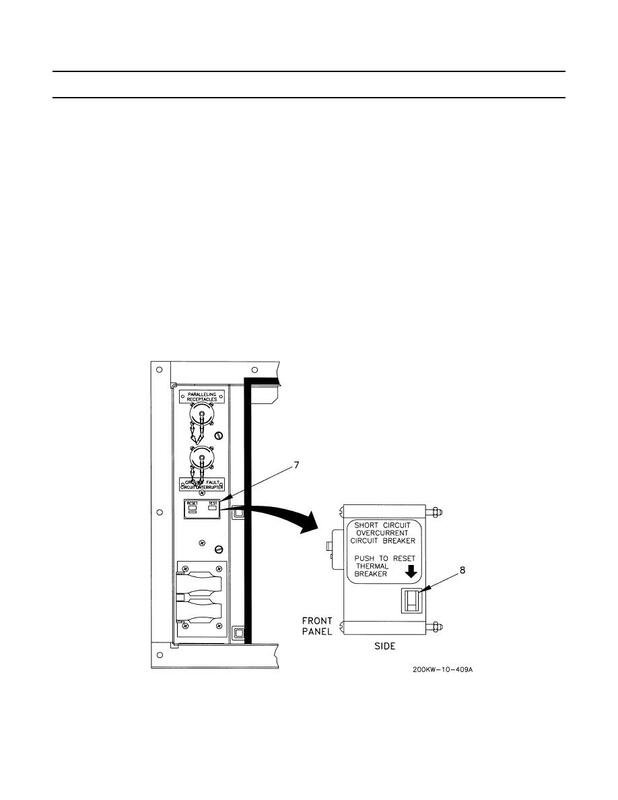 control panel on side of GFCI and then pushing RESET button (7) on front of panel. If wiring to GFCI appears to be broken, notify maintenance. Close EMCP front panel (2) and secure with three captive retainers (1).